A Gantt-like timeline, a card view for agile workflows, task start dates, mail to project, webhooks for third-party integrations, Basecamp import, and easy self-hosted upgrade — all in one huge update. When you get an email notification, just send a reply to post a comment. Send or forward emails to a project email address to create tasks. 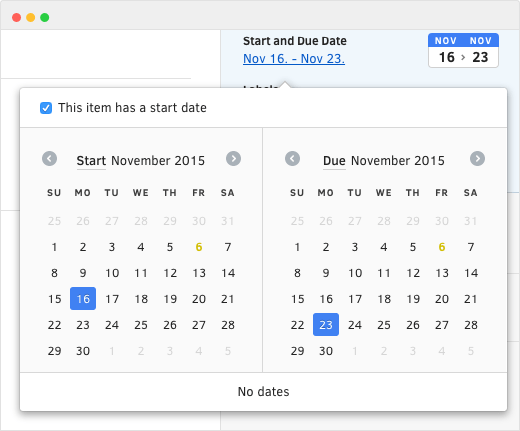 See your tasks as cards on a Kanban board and move them across columns. Perfect for spotting bottlenecks. Agile workflows will now feel natural with task lists like “Backlog”, “In Progress”, “Done”, etc. Learn in our free ebook how powerful this feature can be and what you can do with it. Tasks can now have a start date. Plan projects with greater precision and communicate the start date with your team, in addition to due date. They’ll automatically appear on the timeline as well. 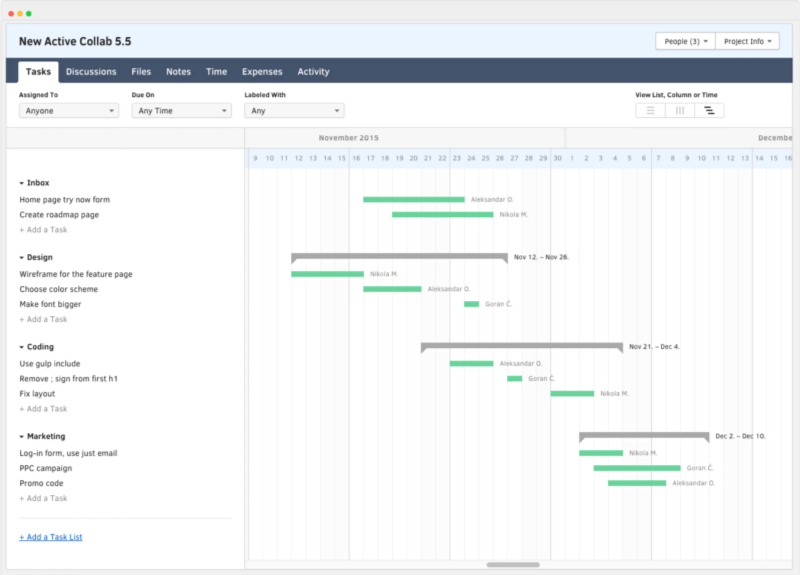 Manage and schedule all your tasks in a Gantt-like timeline. See tasks as phases on a timeline, get an overview of how they interact, and update start/end dates by dragging the handles on the timeline. 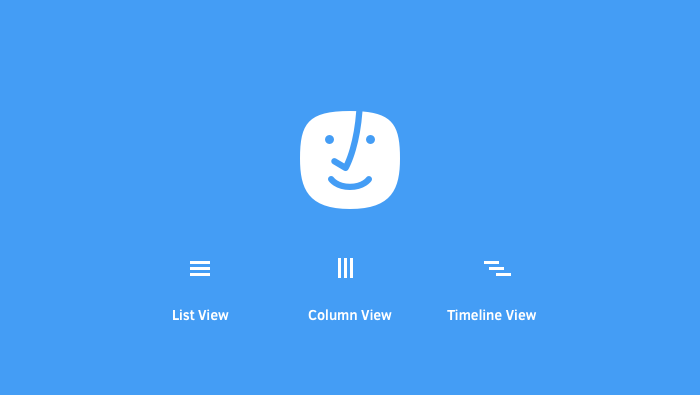 Notify 3rd party services about what’s happening in ActiveCollab. Integrate with existing apps or create your own custom workflows. Take real-time data from ActiveCollab and put it to work however you need. 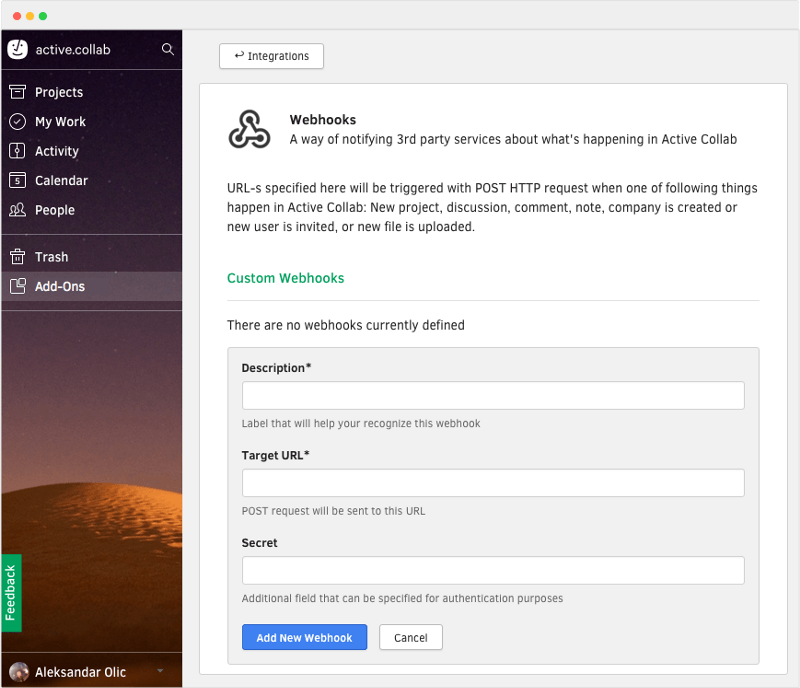 Update your self-hosted ActiveCollab with one click. You no longer have to open the terminal and connect via SSH — just update straight from the Settings page. 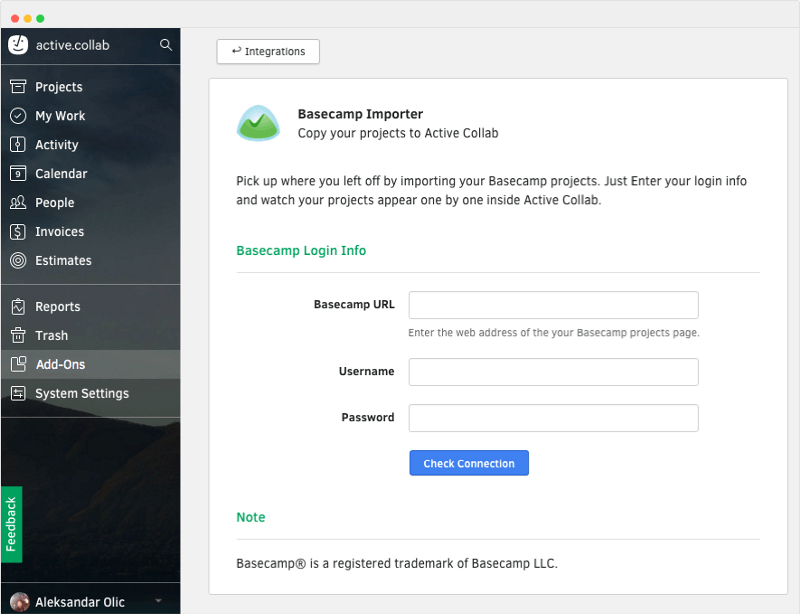 Move all your Basecamp projects into ActiveCollab and continue where you left off. New users who switch from Basecamp get 180 days for free.